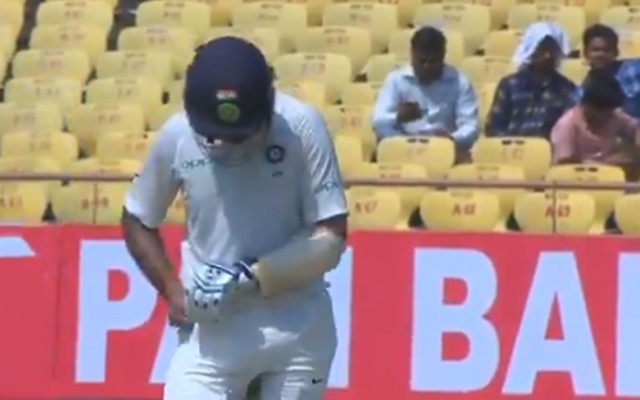 India vs Windies: What is bulging in Cheteshwar Pujara’s pocket? He has already notched up a half-century and is looking good to score more runs. The two-match Test series between India and Windies got underway in Rajkot today as the hosts opted to bat first after winning the toss. Prithvi Shaw was handed a debut while the visitors also gave a Test cap to Sherman Lewis with their skipper Jason Holder unfit to take the field. 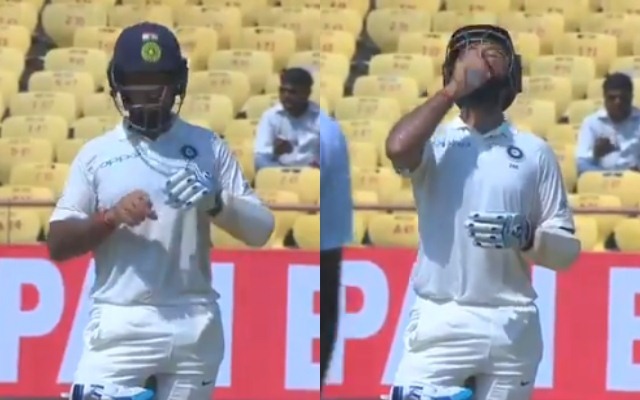 Team India was rocked early in the morning as KL Rahul failed to trouble the scorers which brought Cheteshwar Pujara to the crease after the first over itself. The duo of Shaw and Pujara batted patiently early on and punished the bad balls which were on offer almost every over. The debutant, especially, looked exceptional with his technique as he made no fuss about playing at the highest level. Both of them rebuilt and after getting their eyes in, pummeled the bowling attack which looked toothless apart from Shannon Gabriel who threatened. The heat in Rajkot is already taking its toll on the players. However, Cheteshwar Pujara, the local boy, has found a unique idea to tackle the problem. He was seen keeping a small water bottle in his pocket while batting and was taking a sip whenever he felt so that the substitute fielder doesn’t have to come in the middle often during the action. This move also seemed to be working for the batsman as he looked relaxed and also notched up a half-century. Meanwhile, Shaw also brought up his fifty on debut off just 56 balls and has looked in no troubled whatsoever. Both of them have added 130 runs for the second wicket stand and India had posted 133 runs for the loss of one wicket until lunch. They will look to carry on in the same vein and score big hundreds in the post-lunch session and in the process set a platform for the batsmen to come.